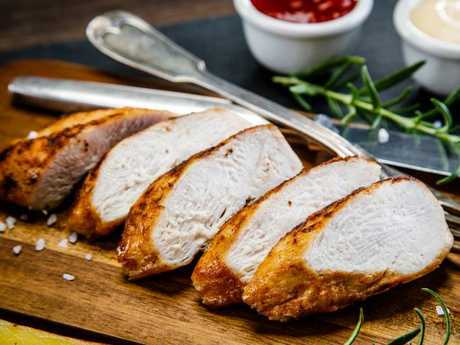 THE KETO Diet is a low carb, higher fat diet that's currently one of the trendiest eating plans in the world. In short: it transitions your body to burning stored body fat instead of relying on carbohydrates as its preferred source of energy. To make this transition, you need to dramatically decrease your carb intake to below 50g per day - with some people going as low as 20-30g of carbs per day. In context, that's about five rice cakes or a single medium banana. This allows your body to draw from stored fat for energy, resulting in a metabolic state known as ketosis. 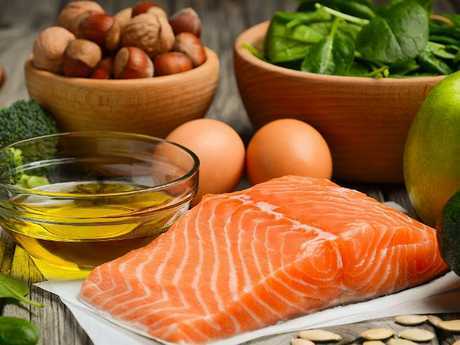 The Keto diet focuses on high fat foods. Health benefits include: a reduction in excess body fat, helping build lean muscle mass, enhanced energy and optimal mental clarity. At its core, the keto diet is made up of high-quality proteins, plenty of seasonal vegetables and healthy fats. You'll need to cut out sugar, starchy carbohydrates and gluten. The transition process can be hard, especially when moving away from a diet that is normally carbohydrate heavy. This can sometimes bring on flu-like symptoms for a couple of days - 'keto flu' is a thing! You can also experience a reduction in energy. However, if you persist you'll quickly transition through this stage and come out the other side bursting with energy! Below is an example of a 7-day meal plan. 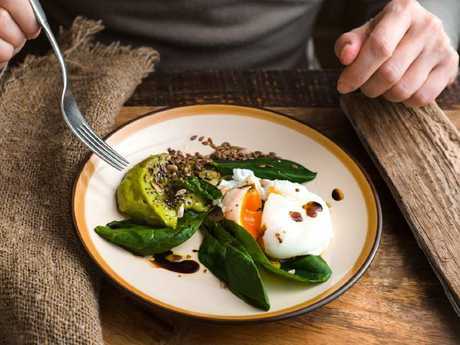 An example breakfast on the Keto diet is poached eggs and sauteed spinach. 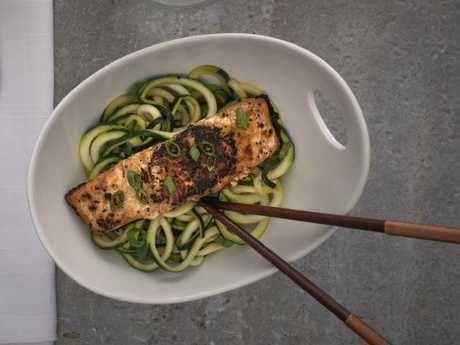 Try adding zucchini noodles with your salmon for a healthy dinner. This article originally appeared on Body and Soul and has been republished with permission.